Welcome to Catalina Computing, home of Virtual Wiring. Alert systems that set off alarms and send text or email messages when your basement is wet, your home/business is cold, or there's an intruder? Web controlled cameras, cellphones, switches, lights? Controlling and monitoring things from the web or your smartphone? 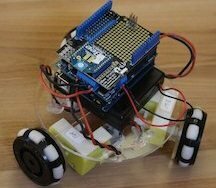 Autonomous internet systems running under state machine, timer, or software control? Building projects on a shoestring budget? Using our free for non-commercial use software and widely available 3rd party components, you can build all these things, quickly and cost effectively - without programming. 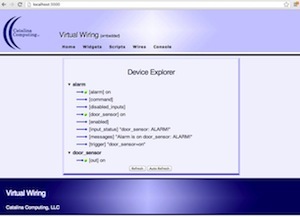 The Virtual Wiring System turns *nix computers (Macs, Linux PCs, Raspberry Pi’s, BeagleBone Blacks, etc.) into robust, control systems. The system is operated entirely from the web or a smartphone, and requires no programming. Just define the problem you are trying to solve, pick your *nix host, and assemble your solution using Virtual Wiring and any of 1000s of available devices. All the physical devices used for building systems are available from 3rd parties (and are often multi-sourced). The Virtual Wiring system runs on PCs, Macs, Raspberry Pi's, BeagleBone Blacks, and almost any other *nix platform. 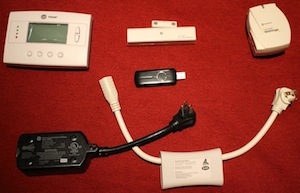 Once your system is up and running, you can control and monitor it from cell phones, tablets, laptops, and desktop computers using almost any web browser. 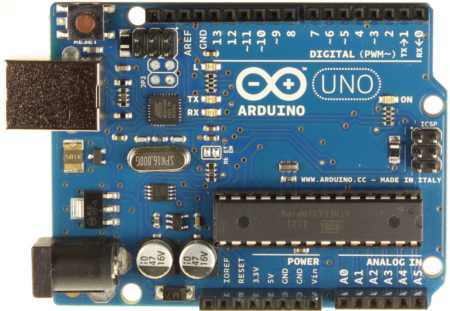 We've got great online documentation describing how to install the software and build your own systems. 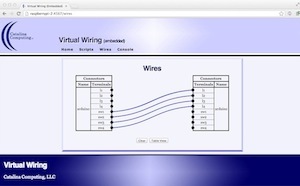 You can download and install the Virtual Wiring software in a few minutes. 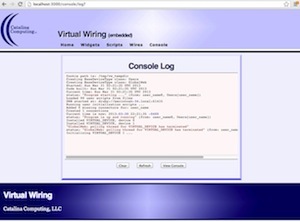 The Virtual Wiring software is free, as long as you aren't generating revenue from it. 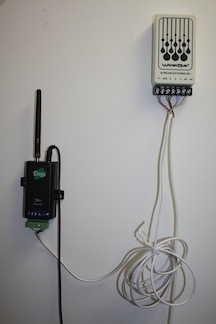 We've built a home automation system controlled by an application on your smartphone. Use Blynk to control anything in a Virtual Wiring system. 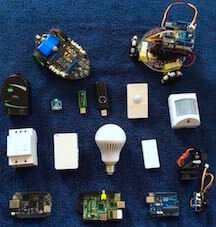 See our Blynk Home Automation Project. 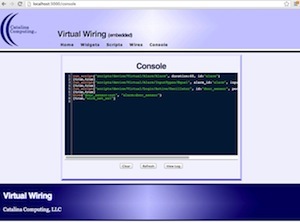 Virtual Wiring automated an entire home! 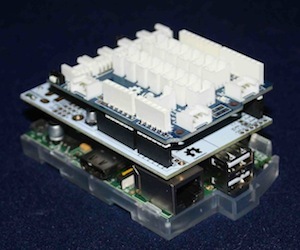 We've just added a link to an article published in Raspberry Pi Geek magazine. Want to Build an Alarm System? How about an alarm system that costs less than $100 that can monitor multiple sensors and sends you email and text messages? Or how about one that's dead simple to operate? Read about them in our Low Cost Alarm and INSTEON Alarm projects. 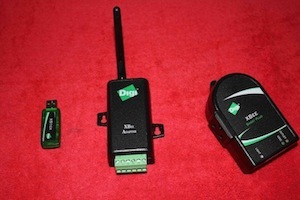 We support a family of Bluetooth sensors for measuring temperature and light - no wires needed!